University of Minnesota researchers from the Lillehei Heart Institute have combined genetic engineering techniques to repair mutations in abnormal muscle cells with cellular reprogramming to generate stem cells that can repair and regenerate muscle regeneration in a mouse model for Duchenne Muscular Dystrophy (DMD). This research is a proof-of-principle experiment that determines the feasibility of combining induced pluripotent stem cell technology and genetic engineering techniques that correct mutations to treat muscular dystrophy. Experimental strategies such as these could represent a major step forward in autologous cell-based therapies for DMD. Furthermore, it might pave the way for clinical trials to test this approach in reprogrammed human pluripotent cells from muscular dystrophy patients. University of Minnesota researchers combined three groundbreaking technologies to achieve effective muscular dystrophy therapy in a mouse model of DMD. First, researchers reprogrammed skin cells into induced pluripotent stem cells (iPSCs). iPSCs are capable of differentiating into any of the mature cell types within an adult organism. In this case, the University of Minnesota researchers generated pluripotent cells from the skin of mice that carry mutations in two genes; the dystrophin and utrophin genes. Mice with mutations in both the dystrophin and utrophin genes develop a severe case of muscular dystrophy that resembles the type of disease observed in human DMD patients. This provided a model system platform that successfully mimicked what would theoretically occur in humans. The second technology employed is a genetic correction tool developed at the University of Minnesota. In this case, they used a transposon, which is a segment of DNA that can jump from one location to another within the genome. 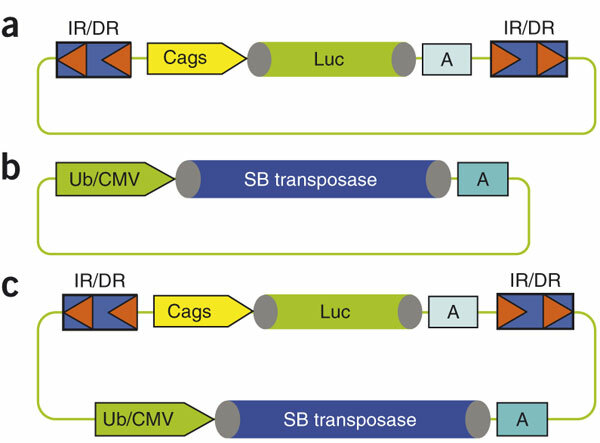 The specific transposon used is the “Sleeping Beauty Transposon.” The use of this transposon allowed them to transport genes into cells in a convenient manner. The Lillehei Heart Institute researchers used the Sleeping Beauty transposon to deliver a gene called “micro-utrophin” into the iPSCs made from the DMD mice. Human micro-utrophin can support muscle fiber strength and prevent muscle fiber injury throughout the body. However, there is one essential difference micro-utrophin and dystrophin: dystrophin is absent in muscular dystrophy patients, but if it is introduced into the bodies of DMD patients, their immune system will initiate a devastating immune response against it. However, in those same patients, utrophin is active and functional, which makes it essentially “invisible” to the immune system. 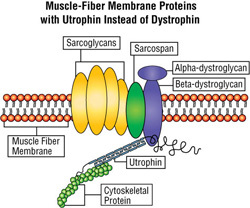 This invisibility allows the micro-utrophin to replace dystrophin build and repair muscle fibers within the body. The third technology utilized is a method to produce skeletal muscle stem cells from pluripotent cells. This procedure was developed in the laboratory of Rita Perlingeiro, who is also the principal investigator of this latest study. Perlingeiro’s technology gives pluripotent cells a short pulse of a muscle stem cell protein called Pax3, which nudges the pluripotent cells to become skeletal muscle stem cells, which can then be exponentially expanded in culture. These Pax3-induced muscle stem cells were then transplanted back into the same strain of DMD mice from which the pluripotent stem cells were originally derived. When combined, these platforms created muscle-generating stem cells that would not be rejected by the body’s immune system. 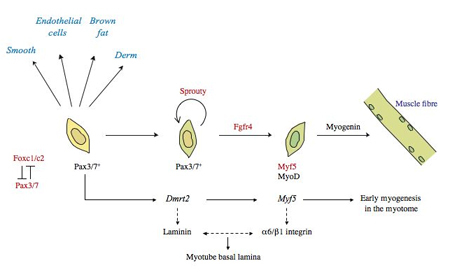 According to Perlingeiro, the transplanted cells performed very well in the dystrophic mice, and they generated functional muscle and responded to muscle fiber injury. By injuring the transplanted muscle and watching it repair itself, the researchers demonstrated that the transplanted muscle stem cells endowed the recipient mice with fully functional muscle cells. This latest project provides the proof-of-principle for the feasibility of combining induced pluripotent stem cell technology and genetic correction to treat muscular dystrophy. These studies pave the way for testing this approach in a clinical trial that would use reprogrammed human pluripotent cells from muscular dystrophy patients.